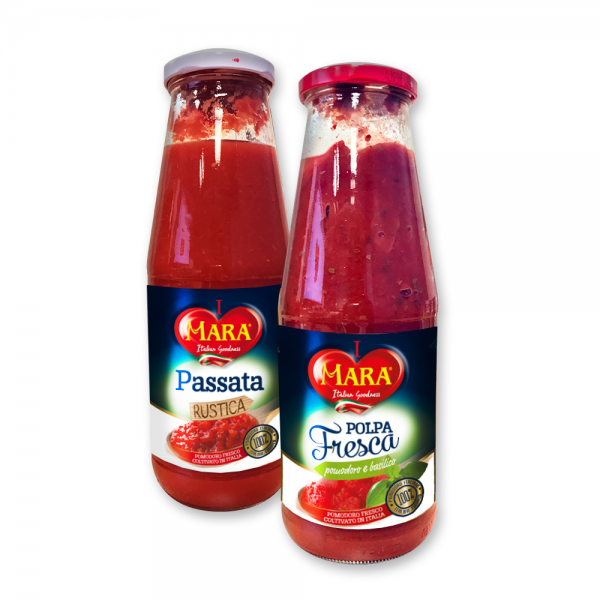 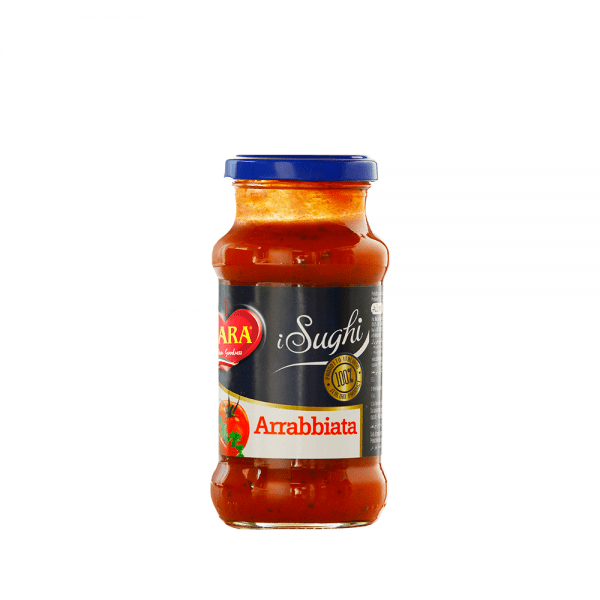 Product description: sauce for pasta, with typical aroma and flavour of cheese. 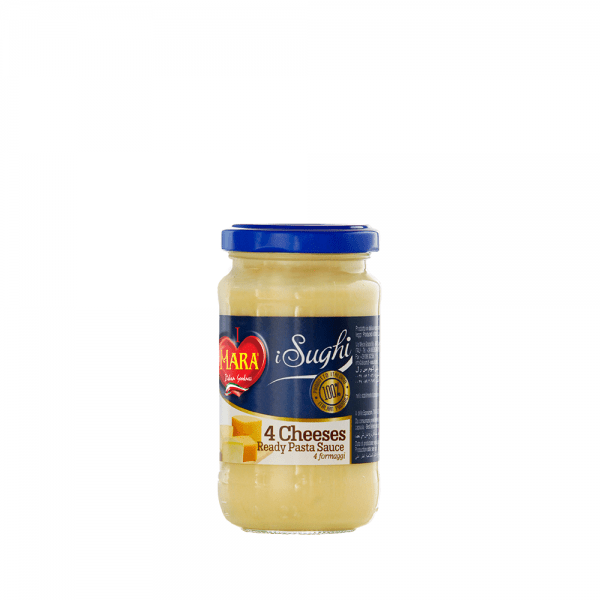 Raw material origin: Italy Ingredients: water, sunflower oil, Asiago DOP cheese (cow's MILK, salt, rennet) (8%), CREAM (4%), modified corn starch, Gorgonzola DOP cheese (whole cow's MILK, nennet, salt, enzymes and selected molds) (2%), Montasio DOP cheese (cow's MILK rennet, salt, preservative: lysozyme-EGG protein) (2%), Fontal cheese (pasteurized MILK, salt, colture starter, rennet) (2%), skimmed MILK powder, flavouring (contain MILK), acidity regulator: sodium citrates, salt. 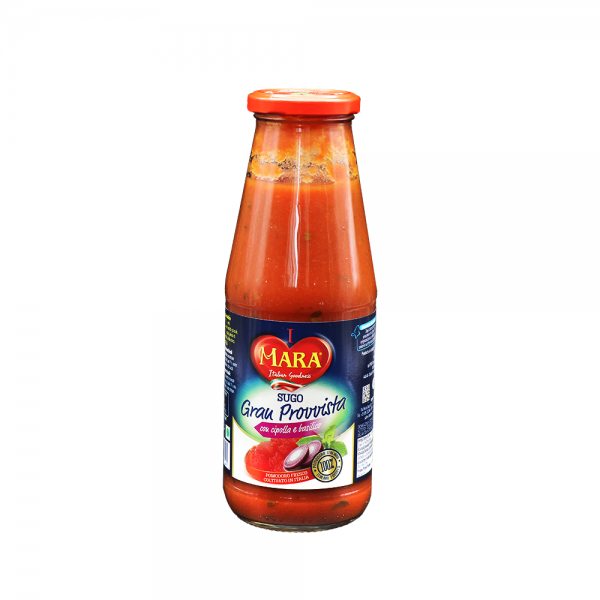 Product description: sauce made of tomato, with fragrance and typical flavour of the tomatoes and chilli pepper. 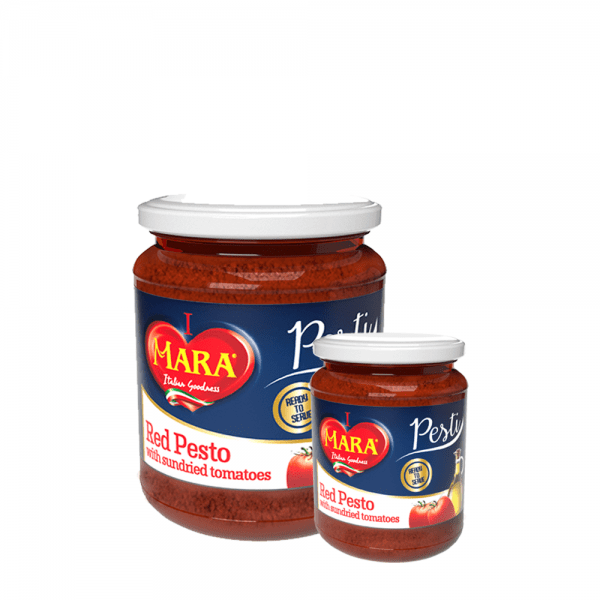 Raw material origin: Italy Ingredients: tomato pulp (31%), tomato purce, water, sunflower oil, potato modified starch, salt, sugar, garlic (0,7%), olive oil, parsley, chilli pepper (0,13%). 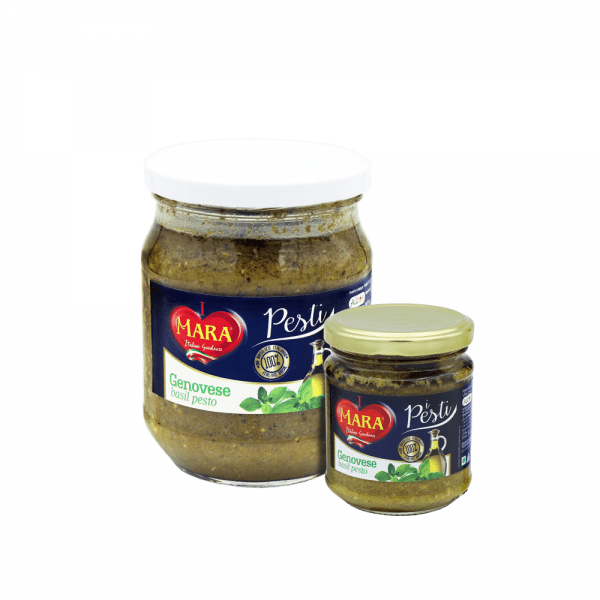 Raw material origin: Italy Ingredients: basil (40%), water, sunflower oil 14%, dextrose, potato powder, CASHEW NUTS, parmesan cheese (cow's MILK, salt, rennet), vegetable fiber, salt, aroma basil, acidity corrector E 270, spinach, MILK protein, garlic.